2B from NieR: Automata was created for Square Enix's booth display at PAX East 2017. 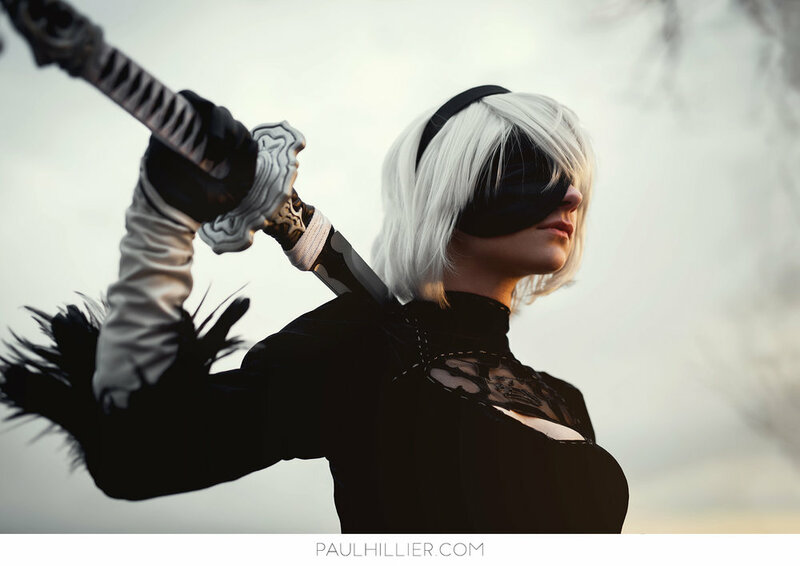 Our team was thrilled to bring 2B to life to participate in community meet and greets as well as photo-ops with Yoko Taro, Director of NieR: Automata, throughout the weekend at PAX East. We created branded content at the show and an offsite location, to be distributed on social media channels. 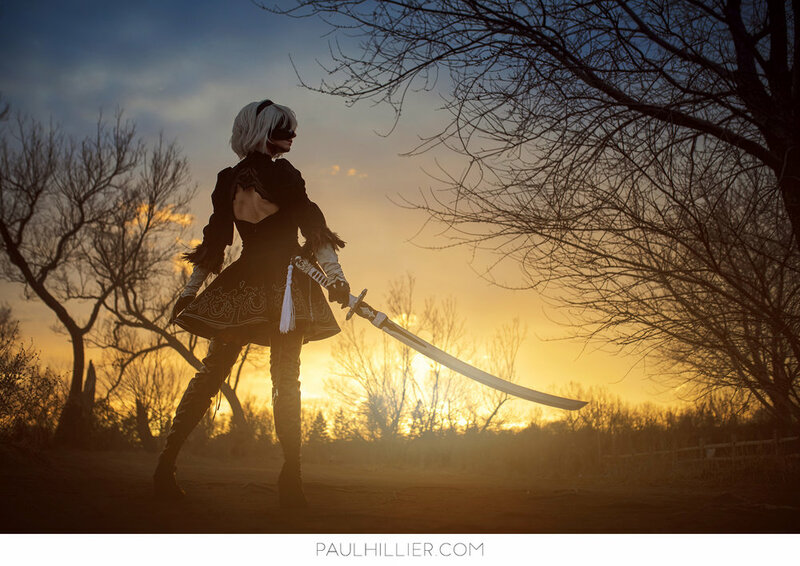 2B's costume was created using a variety of traditional method combined with digital techniques. The detail on her skirt was digitally patterned, laser cut on peau de soie then attached as an applique to the velvet skirt. The sword, Virtuous Contract, was built using a combination of laser cutting, hand sculpting and tsuka-maki wrapping.